Generating effective leads for your business can be a lengthy process if you are only using your blog to do it. 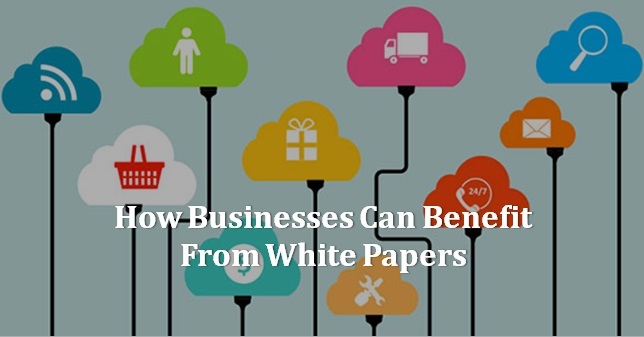 Creating and distributing a white paper, however, can generate leads for your organization rather quickly. White papers educate your readers on your chosen topic, event or organization, earning their trust and allowing them to consider purchasing your company’s services or products. Using direct marketing messages in your white paper is more acceptable and well-received than in a blog, so don’t be afraid to point back to your organization within your white paper content. Within your company’s white paper, insert links and references to old blog posts to help explain terms or provide more information about a certain topic. These links will provide your readers with more useful information and help increase the traffic and reach of old posts. If readers are interested in the white paper and connected blogs, they will likely go a step further and read even more old blog posts. They may even reach out for more interactions with your organization if they find the information beneficial to them. Once your white paper is written, it’s important to use it for optimum leverage. To capture leads, place the white paper behind a registration form on your website for your audience. When putting your white paper out there, make sure you introduce it with an informative lead in to engage your readers. Don’t simply put it out there, however; immediate access fails to capture useful lead information. The best registration page should contain substantial sample content before asking readers for contact information to gain access, which provides audience members with information while your business gains contact information for future use. White papers take significant effort and planning to properly produce and distribute to your organization’s audience. No matter what your business does, be sure white papers take a top spot in your list of marketing tools to ensure maximum reach and leverage of your audience.